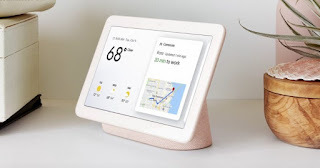 Google has unveiled the Home Hub, which adds an Assistant-equipped smart speaker with a 7-inch touchscreen display. You can use to both get visual feedback for searches, as well as finding photos and videos. The Home Hub is available for $149 and will ship in the US, UK and Australia on October 22nd.